Cosmetic surgeon Dr. Edward M. Zimmerman offers a full spectrum of facial cosmetic surgery procedures in Las Vegas, NV. One of the most common surgeries at Aesthetic Revolution Las Vegas is a facelift. This treatment focuses on precise areas of the face to correct loose skin and wrinkles to create a smooth, youthful appearance. Based upon your aesthetic goals, a facelift can focus on the areas around the eyes, the mid-face area and cheeks, the bottom section, including the mouth, jowls, neck, and more for an all-around younger look. The type of facelift used depends on your desired outcome, the health and condition of your skin, the degree of skin laxity, lifestyle, age, and other factors. Some individuals want a full facelift, while some may only need a mid-face lift. In addition, this procedure can be combined with a neck lift for even more dramatic results. Dr. Z is an experienced surgeon who understands the anatomy and complex intricacies of a facelift procedure. The objective is to produce a natural appearance that's smooth and appealing. "I came in to see Dr. Z for facial rejuvenation. He preformed a liquid facelift using Radiesse. The results are amazing! I look years younger an without losing my natural appearance. Thank you Dr. Z for turning back the clock!" Ideal candidates for facelift surgery wish to correct noticeable facial wrinkles and lines, whether it be the face as a whole or a specific section, such as the mid-face or lower face. A facelift can target various sections, depending on your unique signs of aging. It's also important to note that age doesn't always define the timing to have cosmetic facial surgery. There are countless unique concerns and reasons, and also numerous lift types, depending on what needs to be addressed. The treatment chosen will be different for patients who are in their 30s vs. those who are over 60. Skin laxity is one of the key components in the decision-making process. Patients should be physically healthy, be a nonsmoker, and also have expectations that are realistic. A common surgery for older adults, the full or "traditional" facelift usually uses an incision near the hairline, extending down to the temple region, stopping near the base of the ears. The deeper layer of facial muscles is delicately stretched and securely tightened to create a lifted appearance, which diminishes excessive wrinkles and sagging. A full facelift is used for patients who show signs of aggressive aging. During a full facelift, several facial rejuvenation methods may be used, including an eyelid lift, to address the eyes or neck reduction for the lower region. Incorporating a similar method to the mini facelift, the cheek lift (known as a mid-facelift) addresses the droopy features around the cheekbones, as well as the upper jaw. The mid facelift works great for those who desire improvement in the middle to lower region of the face, which also includes the jowls. A lower facelift corrects the neck region, chin, and sometimes the jowls. Methods of a nonsurgical nature, such as RF skin tightening, can also be applied to attain a younger-looking neck. When undergoing a mini facelift, a tiny incision is placed near the ears to elevate the skin, which helps the mouth and jawline. This technique creates nice and subtle enhancements that look beautiful and natural. Following your procedure, we will monitor your health until you can be safely released to be taken home by a friend or family member. Prior to your surgery, Dr. Z or someone on his staff will plan your follow-up visits and give you suggestions to help you recover faster and more comfortably. It's normal to have bruising, swelling, possible drainage, slight to moderate pain, and soreness, which may be reduced by pain medication. You should feel and physically look better after about a month. You can expect a smoother and younger-looking facial appearance. Overall, your face will appear rejuvenated and fresh. The cost of your facelift will depend on the technique and other factors. In your consultation, Dr. Z will create your unique treatment plan to match your needs and goals. When this is complete, he can go over estimates of fees. To avoid unnatural-looking results, it's better to concentrate on finding a skilled surgeon, like Dr. Z, instead of the lowest price. Aesthetic Revolution Las Vegas can give you information on low-interest financing that will make your facelift affordable. Which technique is best for me? The best technique for you will vary based on your concerns, goals, level of skin laxity, what areas are being addressed, and other factors. To produce your best results, Dr. Z will explain the different techniques in your consultation. He can then help you choose which technique is best. Should I get a surgical or nonsurgical facelift? Although there are several great noninvasive skin tightening treatments, these can only give you small improvements. For moderate to severe skin sagging, facelift surgery is the best choice to improve your appearance. In your consultation, Dr. Z will discuss your choices, including nonsurgical procedures, to help you choose which is best for your goals. What about wrinkle fillers and relaxers over facelift surgery? Wrinkle fillers and relaxers, like BOTOX and Juvéderm, have become more popular to improve fine lines and wrinkles. Also known as a liquid facelift, nonsurgical wrinkle treatments usually help with early signs of aging; however, the results won't last more than 1 – 2 years. A facelift will produce more significant improvements than injectables with long-lasting results. Ask Dr. Z about nonsurgical wrinkle treatments in your consultation. Will my results look natural? Some patients worry that a facelift will make their skin look shiny, overly tight, or like they are in a wind tunnel. Dr. Z focuses on giving you results that look natural so you appear refreshed, not fake. He listens to your concerns and goals before creating your custom treatment plan to produce your best results. A facelift can turn back the hands of time and provide you with a rejuvenated appearance. Thankfully, there are a wide variety of choices for surgery, depending on your individual concerns and goals. This procedure is meant to make you younger looking but natural. 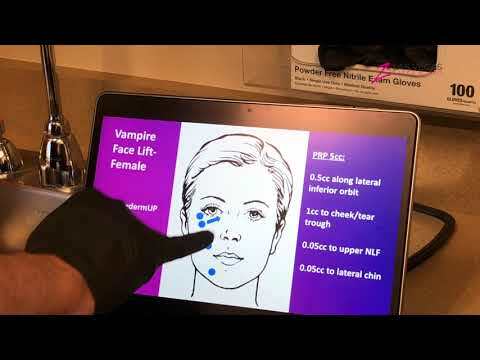 To hear more about this treatment, we welcome you to contact Aesthetic Revolution Las Vegas in Las Vegas, NV to schedule your consultation with Dr. Z.